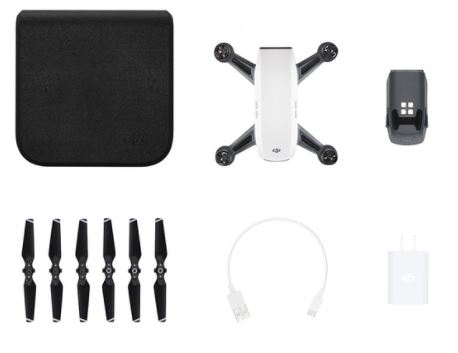 Are you looking for state of the art leading edge in Drones – then check out the DJI Spark Mini Drone which is seriously awesome considering its size. 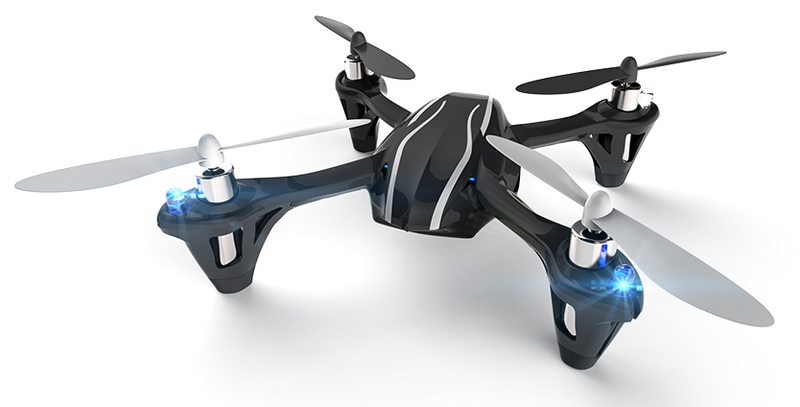 As with all DJI products, it is a top quality, high performance, feature loaded Quadcopter designed for personal use and is a lot of fun. It is loaded with state of the art flight assisting features which make it easy even for beginners to get going. 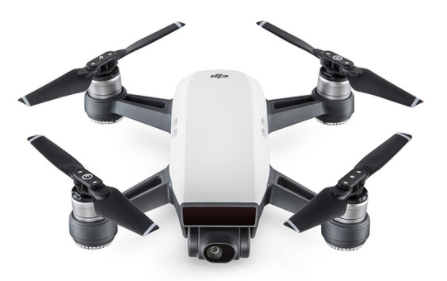 Very reasonably priced in our opinion, the Spark makes it effortless to shoot amazing video footage, take fantastic still photos and even do a spot of FPV (First Person View) flying. What more do you want !!?? 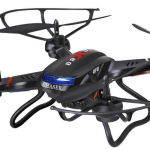 Let’s explore what this innovative and exciting UAV has to offer…. Q) Can the Spark be used by beginners? Q) Is the Spark Waterproof? 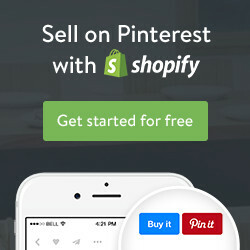 A) No. You should avoid flying in wet conditions and landing in / taking off from puddles as the chassis is close to the ground. Q) How Do I Control it? A) You control your Spark with either your mobile device using the DJI GO 4 app or the remote controller. You can also use hand gestures. Q) Is FAA registration required in the USA? The Spark is really well designed and a lot of fun straight out of the box due to the fact that DJI has made it so easy for anyone, even beginners with no experience, to get a good level of control. It is small, compact and lightweight bearing in mind that vast array of technology and features they have crammed into this little gem, so easily carried around and not a burden. The main and most standout feature is the fact that you can control the Spark using hand gestures, which makes you feel like you have mastered the force and become a Jedi! This can be used in conjunction with Quick Launch, which works by face recognition so that once identified, Spark takes off from the palm of your hand and hovers in place awaiting further commands. The main idea here is everything is designed to free you up so it’s possible to take selfies, group photos and aerial shots without the fuss of using the app or a controller. 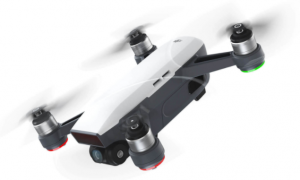 The camera is on a two-axis gimbal, so is very stable and offers 1080p Video and 12 MP Photo quality as well as live streaming for First Person View (FPV) via Wi-Fi. The DJI GO 4 app on your smart device provides editing templates and an array of filters so you can easily and quickly edit your videos and photos and share them straight to social media. Gesture Mode – The Spark vision system will recognize your gestures and then perform the matching functions associated to them allowing it to follow you and then take a selfie without using a phone or controller. Flight Protection – DJI’s GEO system lets you know where Drone flying could raise safety or security concerns, such as near airports or public venues where security is restricted. 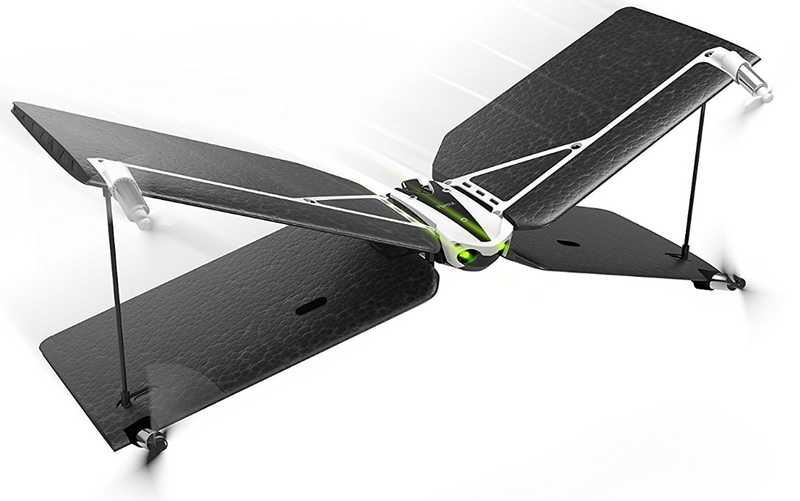 This provides you with peace of mind knowing you are flying your Spark safely and responsibly. 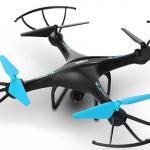 It’s also pretty fast – Spark has a top speed of up to 32mph (50kph). You can access the high speed potential by switching to Sport Mode but you can only do this with the controller so it is definitely worth investing in one. If you have FPV goggles you can strap them on and immerse yourself in the flight experience, if not just enjoy the speed!! Spark’s FlightAutonomy system is state of the art which includes the main camera, GPS, 3D sensing and a vision positioning system. 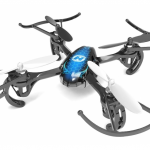 This lets Spark hover accurately almost anywhere, sense obstacles from up to 16 ft (5 m) away, and land safely. When you arrive home, the Precision Landing System uses both GPS and vision positioning to bring you down to earth safely. It will automatically scan and try to match the terrain features from when it took off and when it matches it will start landing immediately. Along the way, there is also obstacle avoidance sensing due to the vision system, so the Spark can detect an object in its path and take steps to avoid any potential collisions. 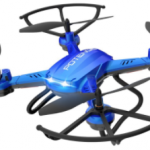 Overall this is a fantastic Drone for beginners and experienced flyers and we feel you get a lot for your money as this is a great quality product that has it all – fun, excitement and state of the art technology. Due to the charging time versus flight time, it’s always worth having a spare battery so you don’t get caught out if you need to be in the air longer. If you found this useful, check out more of our reviews here. 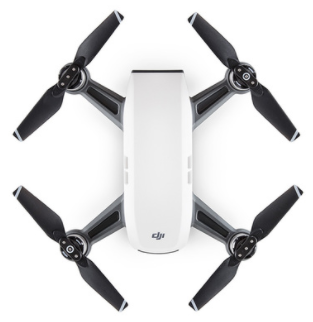 We would really love to hear about your experiences with the exciting DJI Spark. Please leave us a message below and let us know what you think!